Teaching our kids responsibility to others and the community is an important part of parenting and raising your children. When your child completes their volunteer work or project, you can use these free printable certificates to let them know how much they are appreciated. Helping others is an important lesson to instill in our kids. Involving them in community service projects is a great way for children to learn how their efforts can positively impact other people and their neighborhood. 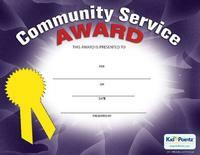 Awarding our free community service certificates to your kid will further increase their sense of pride and accomplishment for the help they provide to others. Teaching our kids responsibility to others and the community is an important part of parenting and raising your children. When your child completes their volunteer work or project, you can use this free printable certificate to let them know how much they are appreciated. An important part of parenting is teaching kids the importance of giving back to the community. When your children are involved a community service project, show them how much you appreciate their efforts with this free printable certificate. 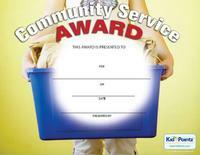 Show your appreciation to your child when they perform volunteer work for the community. 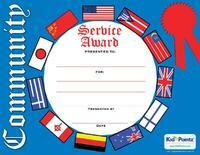 Helping others has its rewards and this award certificate is the perfect way to further show how much you appreciate the efforts of your child. 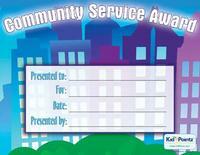 When your child performs volunteer work for the community you can show them how much you appreciate their efforts with this free printable award certificate. Your child will enjoy being recognized for their hard work and look forward to future opportunities to help others. 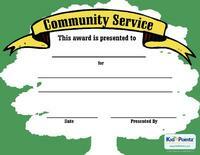 Show your kids how much you appreciate their efforts to perform volunteer work for the community by presenting them with this free award certificate. Children enjoy being recognized for their hard work and this free printable certificate is perfect for showing them you acknowledge their efforts.